Just to get you in the mood… here's the Broadway cast performing at the Macy's Thanksgiving Day Parade. What do I notice in this picture? Unlike a show like You're a Good Man Charlie Brown, the costumes aren't crazy specific for individual characters in this show. So, let's talk about what to wear if you were to audition for the ensemble. 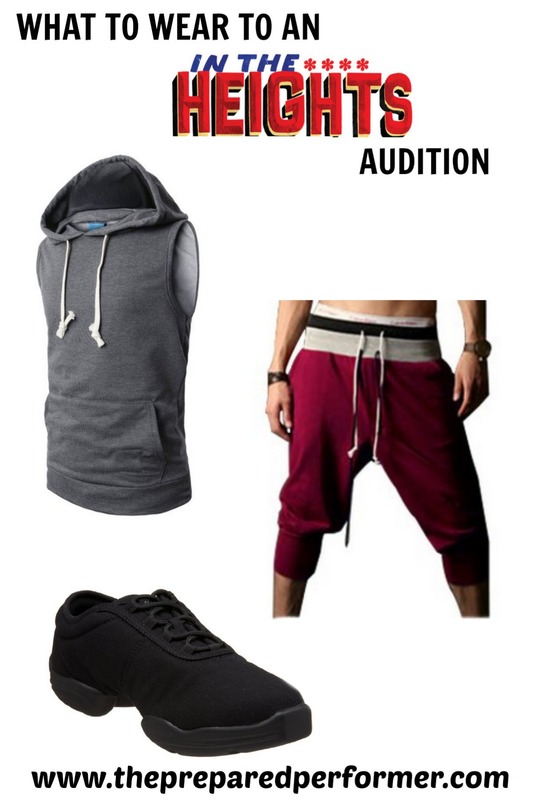 If you are wondering whether what you are planning to wear to an audition for In the Heights, is appropriate, post a photo here or email one to thepreparedperformer@gmail.com and I'd love to give you my thoughts! And, if you can make it out to this audition at The Chance Theater… I'm sure it will be a blast! Break Legs!